I was looking for a replacement for my RA1 Grado amp, so I brought my GS1000 and my AK100 with me. “Unfortunately” there are a lot of amps that work like a charm with it. The Fosgate Signature really stood out. Bass was notably better, there was more space, more slam, more sparkle, more music. 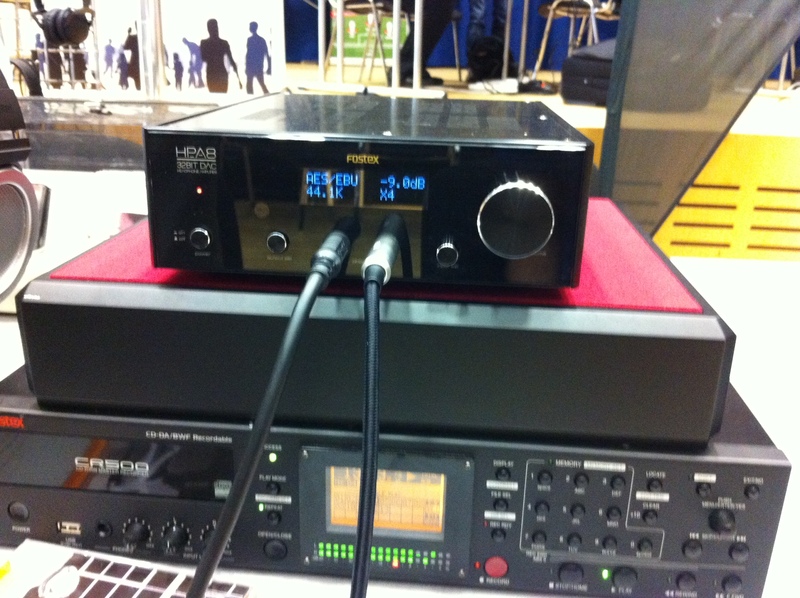 The Lehmann Audio Linear as well a great and versatile amp. I tried the Mr. Speakers, AKG 812, my Grado and the HD800 with it. All sounded very good and differences between them were easy to spot. 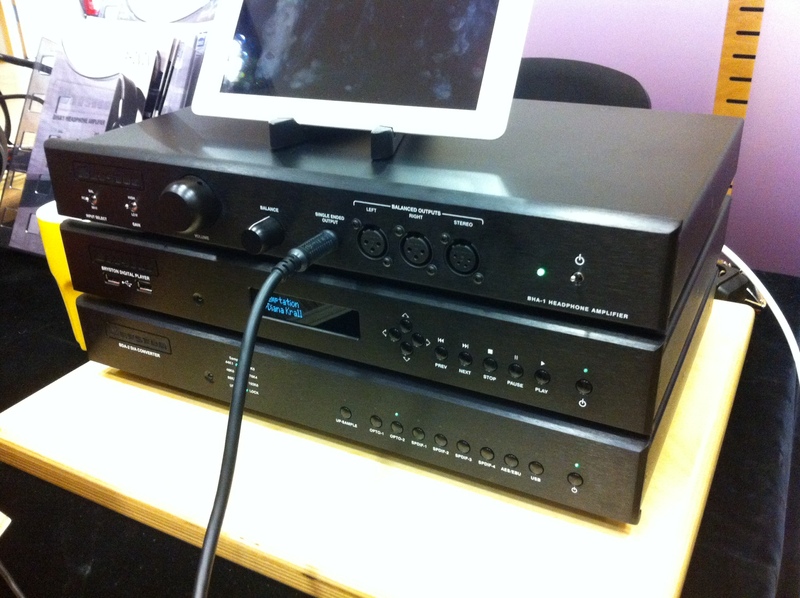 This could be the ideal amp for a headphone collector. They also have the Traveler, a portable amp that makes great music and sports a monstrous 20h battery life. 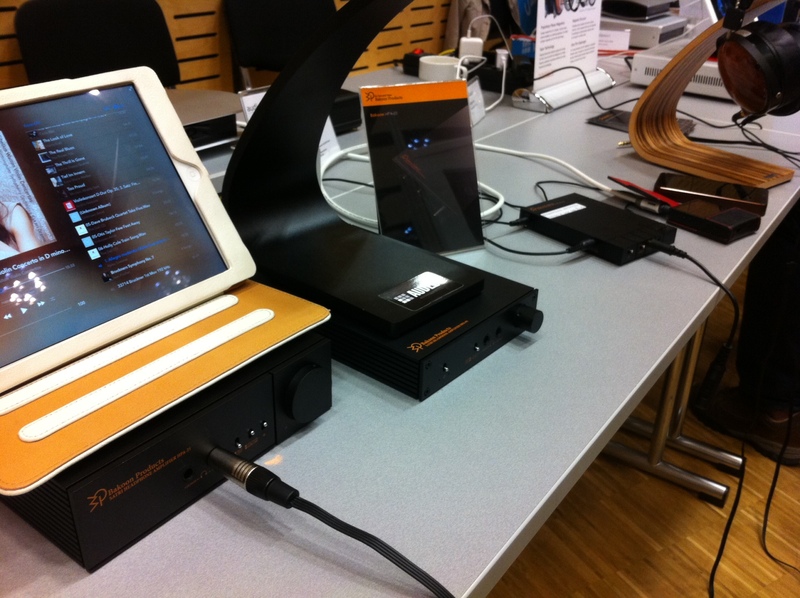 Lehmann Audio is rather inexpensive for what they offer at 1500€ for the top model, and made in Germany as well! 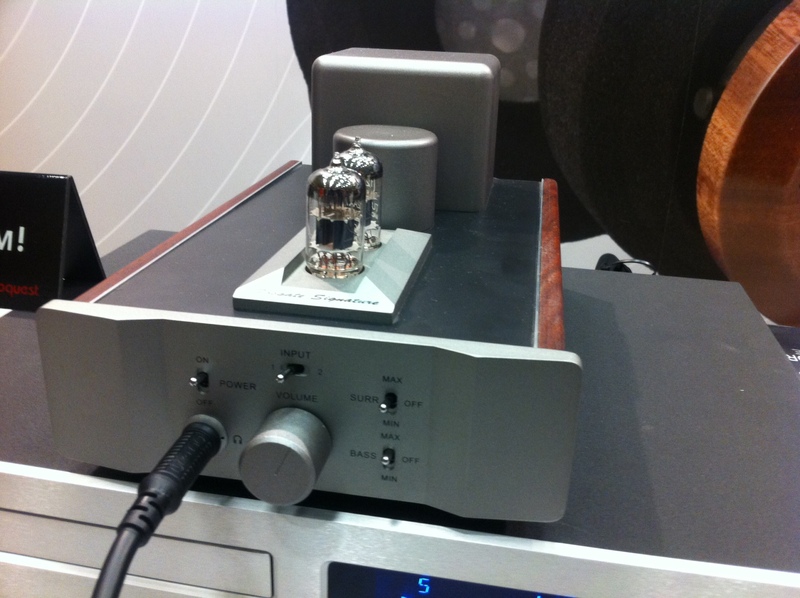 An Eternal Arts professional OTL amp was beautifully playing tunes from a Nagra open reel deck into a Sennheiser, but with the Grado GS1000 it was even better. The 2698€ price tag is serious cash for it. 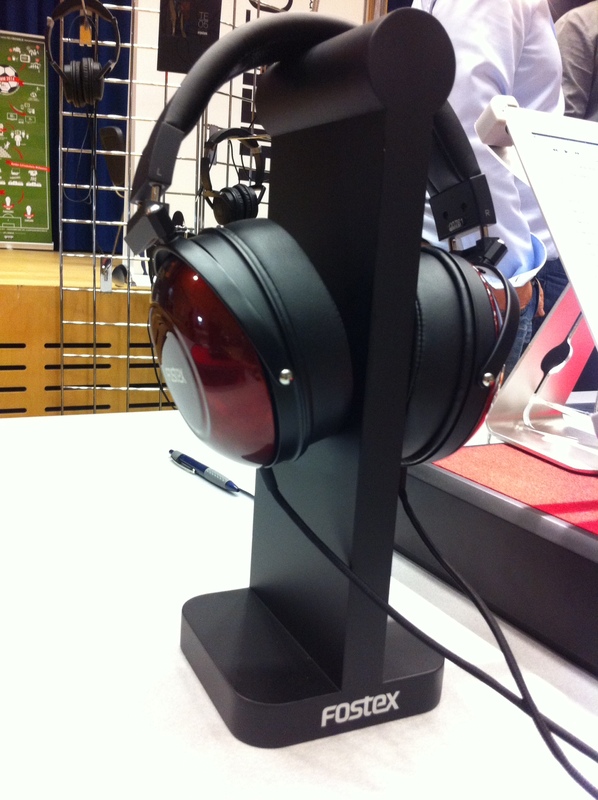 Bryston BHA was fantastic and with an industrial design and professional look and the sound quality was great, too. Superb DAC as well, the BDA-2 on the bottom.The Bakoons didn’t sound good with the Grado, but were exceptional with Audeze. Extremely powerful, these could be end-game amps if you use Audeze. Just read the headfonia review, it’s perfectly right. 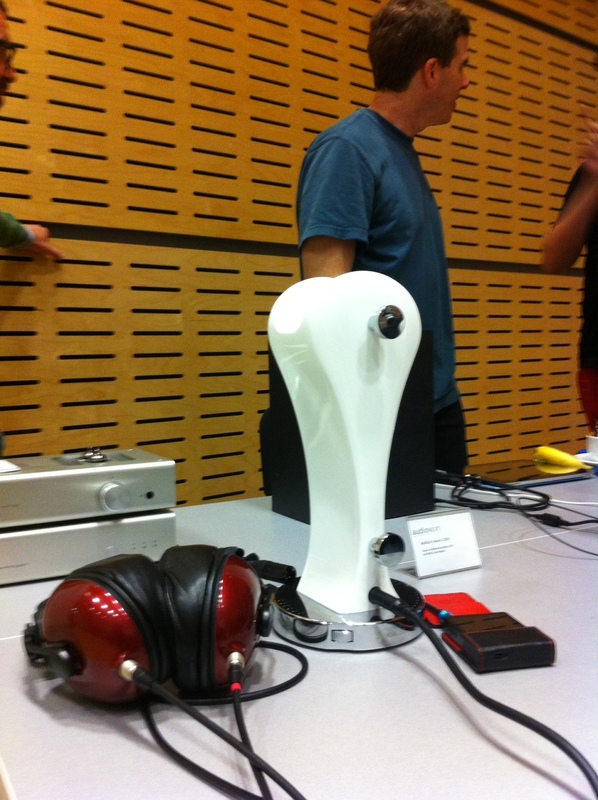 Bakoon even had a portable prototype with strong, rich sound. Tiny in size, but glorious sound. 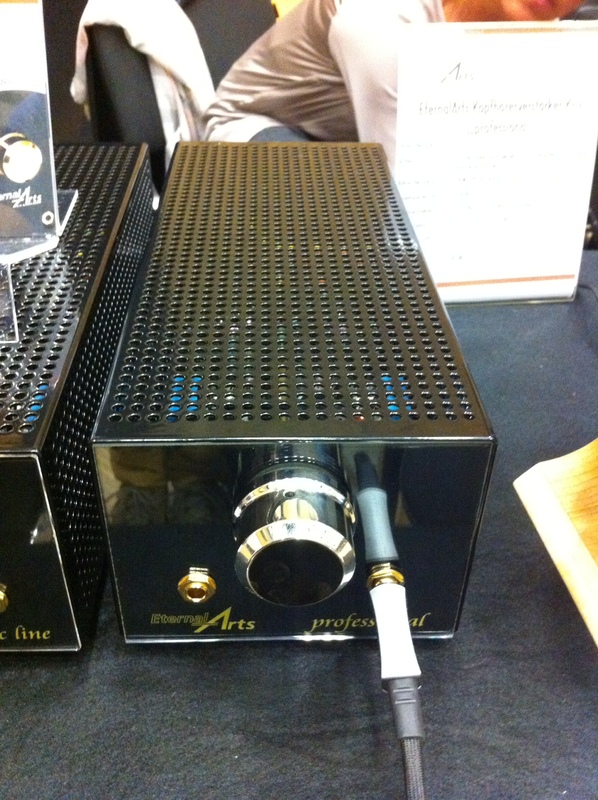 The last amp I tried was the Mal Valve, which could be an end-game amp. You can hook up everything, dynamic, ortho, electrostat and the sound is as precise as you can imagine. The best I have ever tried, 4500 €. But that’s it, I think. It gets everything right. And compared to speaker amps, this device is not expensive. Sonically it plays in a league that mere mortals like me will never be able to recreate on a speaker setup without selling my house (that I don’t have). I got a chance to listen to a Fostex TH 900 phone off of my AK100 and was very, very impressed. This could be the closed headphone for me. 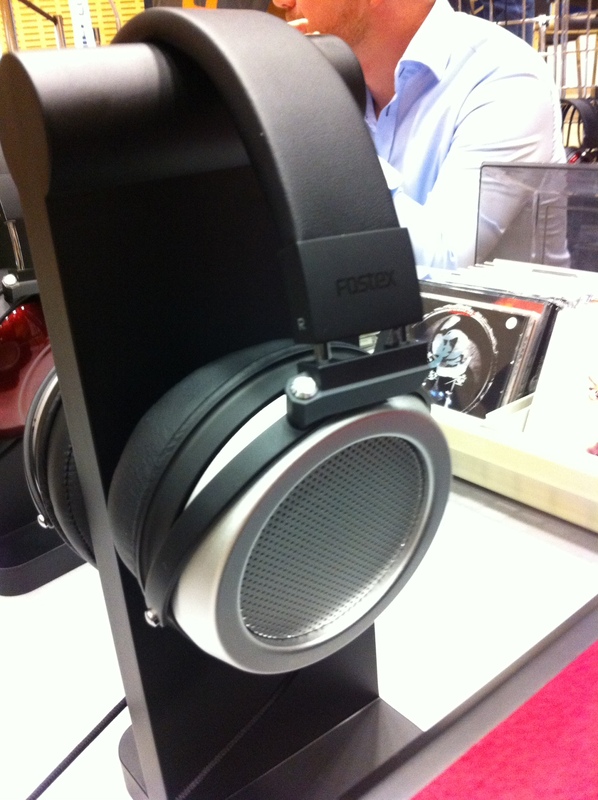 Fostex also showed their small portable amp and a bigger amp/DAC combination, which was extraordinarily good with the Grado, better than with Fostex’s new planar, I thought. The trusty Grado showed a nicer tonal palette, maybe not as neutral, but more beautiful. Dan Clarke (MrSpeakers) was there in person, but unfortunately his luggage got lost! 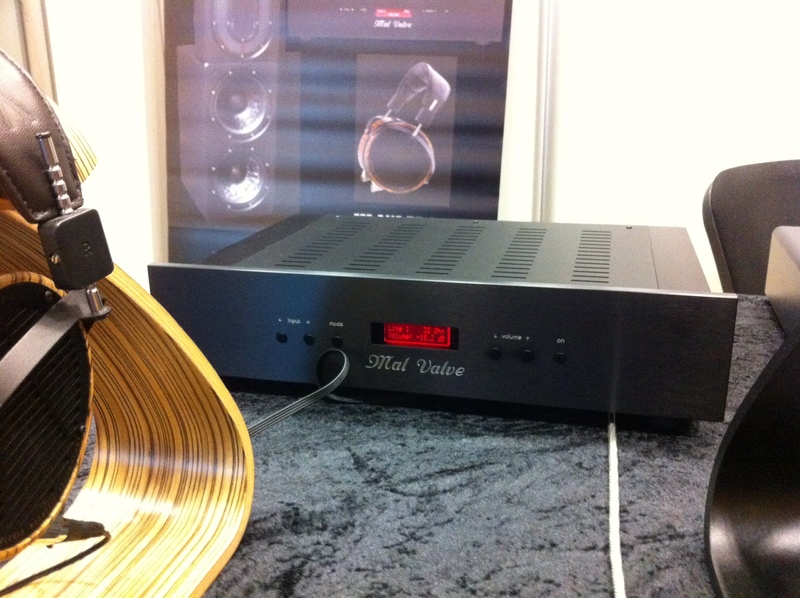 so I could only look at a Schiit amp and dac and a Cavalli Liquid Gold Headphone Amplifier – 120V devices that don’t work in Europe, but impressive to see them. Though he did have a Chord Hugo and an Auralic Gemini, both brilliant amps. 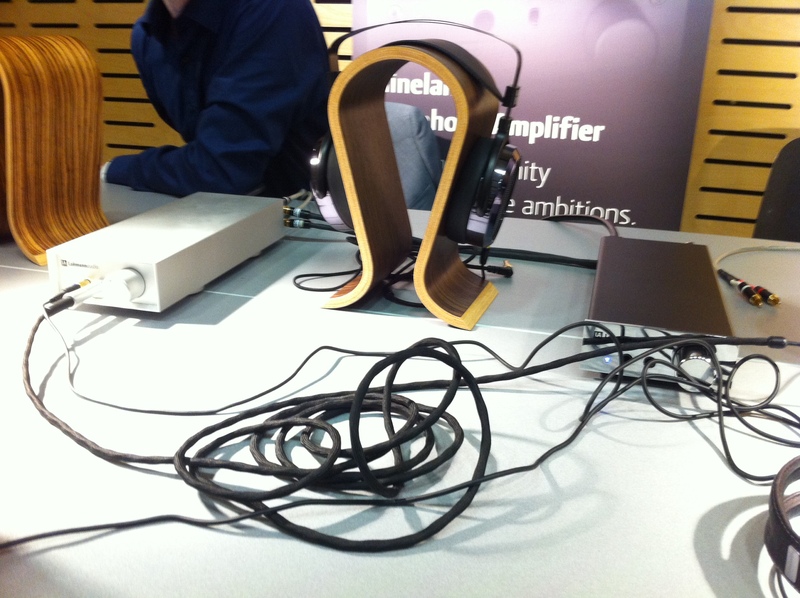 His Alpha Dog headphone was beautiful on both and at 600 USD, it really is a bargain. So if you need a closed back headphone, get this one if the Fostex price is too steep. A very good addition to one’s headphone collection. Oh yes! 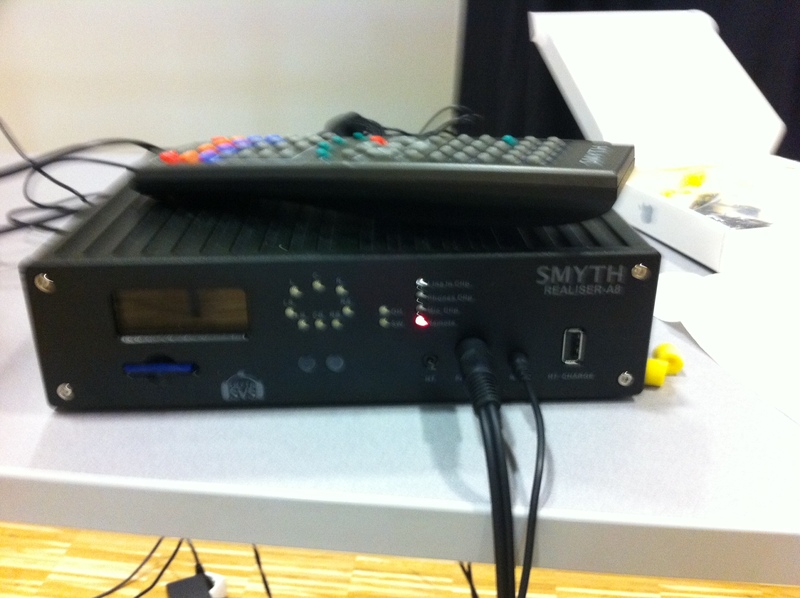 And there also was the Smyth Realiser. They did a demo, and it really sounds as if there are speakers around you. It was a 5.1 demo. They used a Sennheiser headphone, but that really made me doubt the device’s ability to recreate different speaker systems. 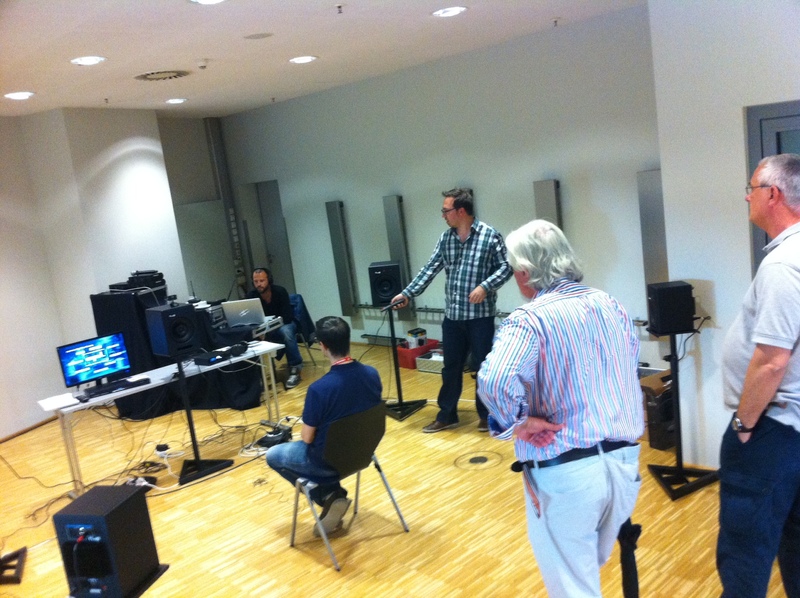 The demo speakers were powered monitors and the music piece was a drummer playing around you. The Sennheisers had a totally different sound signature than the speakers. So I doubt if I could take the Realiser, walk to my dealer who has the big Altec horn speakers, measure them and his room, walk home and have the same great sound. Better yet, go measure the Wilson Duette (oh yes!) and listen to Duettes at home, or measure an Audio Note system and have that recreated. You will have the precise location of the speakers, but will you have the sound of the mighty Gakuon or whatever it’s name is? If I would get a precise recreation, I’d be the first one to buy the device. But at least that demo showed that it doesn’t seem to be possible. It was wonderful to be able to try so many extraordinary headphones, to compare them to a known reference and to do all that with my own music and my own source. More good to see that there are so many excellent products offering brilliant performance for sane prices; or confusing because there are so many very good ones making it hard to choose. At least I found an amp that will replace the RA-1. I chose the Fosgate over the Lehmann, that is somehow just as good, but there are no tubes that you can roll. And tube rolling is fun! ECC 83’s are inexpensive and can change the sound, so there is always something you can play with if the mood strikes you. The Fosgate is here now, three days later and the first impressions are very favorable. My Grado has very deep bass, the highs are not biting at all, which is a criticism that is read everywhere, the mids are as nice as one can imagine. Very good, like some very expensive organic chocolate. There is no background hum and dynamics are spot on. This is the “reverse” Bakoon: it doesn’t sound good with the Audeze, but for the Grado, it’s great.